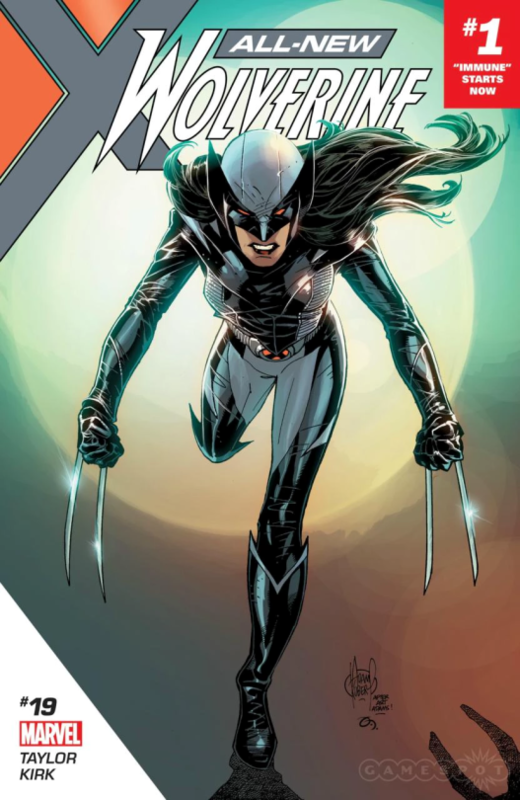 Another step in X-23′s costume evolution is definitely appreciated, as the creators openly address that even such awesome power as healing factor is not a good excuse for an action hero to run around with deep cleavage and/or bared belly. Also good to see Laura get some individual touches in her Wolverine-like costume. Personally, I was never sold on replicating Logan’s yellow-blue color scheme verbatim for her.